When you need a criminal lawyer in Vancouver, WA, you need a reliable, experienced attorney familiar with all the local and federal laws that apply to your case. Robert Vukanovich Attorney at Law has over 25 years of experience protecting the rights of his clients in Vancouver, WA and the surrounding areas. He works diligently to ensure each client has the best possible defense with the best possible outcome. As an experienced litigator who has helped hundreds of clients, Robert Vukanovich is skilled at creating a personalized defense for each client. If you have been accused of a misdemeanor or felony charge, Robert has a proven record for mounting a serious defense in the face of serious charges. He understands the life-altering situation facing a person who has been accused pf a crime. He offers compassionate answers to your questions throughout the process, while doggedly fighting for your rights. He gives you full access to the progress of your case and provides ongoing client communication. Robert does a majority of his work in felony, superior court cases. He handles all types of felony cases outside of DUI and homicide. If you are being charged with a felony or misdemeanor crime, you want a skilled and experienced defender who gets results. His law office spends the necessary time pouring through the evidence. They find anything that has not been strictly obtained under the letter of the law and do everything possible to get it thrown out. He has a well-established record of negotiating plea terms with the DA, when that is the best option. When it is not, he has an impressive record of favorable trial outcomes. Robert and his office leave no stone unturned. He works meticulously to find the facts that will support your case and discredit those that do not. He has the resources and expertise to get you the best outcome. Do not leave your future up to inexperienced representation. Robert Vukanovich gives your case the time and detailed attention it deserves. 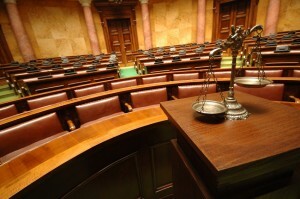 He stays current on the ever-changing nature of the laws, ensuring you get a defense that is relevant and up-to-date. The case against you should be held to the same burden of proof that anyone else is held to. In your defense he will raise reasonable doubt wherever possible, making it difficult for the opposing side. He has spent many hours in pre-trial preparation as well as in the courtroom. As an accomplished criminal lawyer in Vancouver, WA he has the extensive courtroom experience you do not want to be without. Contact our office today for your consultation with a skilled criminal lawyer in Vancouver WA.